I love mixing. I really do. That’s not to say I don’t love all the other aspects of creating music – writing, arranging, performing, recording, editing, mastering, etc. But I particularly love to mix. What I love about mixing is that it’s a challenge. Every time I start a new mix, it’s like sitting in front of a puzzle (except much cooler). Regardless of how well the tracks were recorded, they won’t blend together very well without the help of a mix engineer. There’s so much give and take with mixing. If you turn up one instrument, chances are you need to turn another one down. If you pan one track to the left, you probably need to balance that by panning another track to the right. If you remove all the low end on a guitar track, you’ll need to make sure the kick drum and bass have plenty of low end to make up for it. There are thousands of tiny decisions to be made, and there are a thousand different ways you could mix a song. I find it all exhilarating. I’ve written a lot about mixing here on HSC, and I thought I’d compile a list of them all right here. These are all completely FREE resources for you. If, after reading through all of these articles, you’re itching for more, and you’d like to dive in-depth into mixing, you should join us over at MixWithUs.com. As much as I love mixing, I also love teaching others how to mix, helping them improve their mixes, and what better way to do it than by mixing songs together? Before you head off and read the articles below, leave a comment. 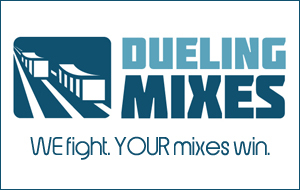 Let me know if you’re going to join Mix With Us. I’ll need 10 comments at LEAST. Even if you decide not to join MWU, you should still check out these articles. Enjoy! Practice Makes Perfect…Even for Audio Engineers? Do You Always Use Compression?